There is nothing that feels better then rescuing an animal in need. There are many pugs out there that are in need of good homes. If you are looking on adding a pug to your family please consider rescue. Rescue pugs are placed in rescue groups or shelters for a variety of reasons. Please do your research so you can avoid a situation that would cause you to place that pug back in rescue. Some pugs are placed reluctantly in rescue due to a death in the family or unforeseen circumstance. Some rescues are just dumped on the street when the owners don�t want them anymore and picked up by animal control. Some rescues have behavioral issues that their owners can�t correct. Some rescues are older, have a health issue, or are no longer loved by their families. So many pugs are out there just waiting to be adopted. If you are looking for an older dog to add to your family, rescue is defiantly the way to go. You can avoid the hassles of "puppyhood" by getting a rescue. No potty training most of the time, and rescue�s are generally so grateful to be adopted they are very well behaved. The love you get from a rescue is one in a million. There are also what we call "special needs" pugs. These are pugs that have some sort of health problem and need that extra love and attention. Some of them will require a lot of veterinary care, some have allergies and need to be on special diets, some will need surgery to correct bad knees or hips. These pugs really need someone who can give that extra time and have the extra money to spend on them to give them a long happy life which is our ultimate goal. A downside to rescue is sometimes there are waiting lists to find that perfect addition to your family. Unfortunately the waiting lists are a necessity. It is the responsibility of the rescue to place a pug that matches your particular situation. They need to screen home to avoid the possibility of that pug ever being placed in rescue again. Patience is essential when wanting to adopt a rescue. It could take months, sometimes years to find a pug that fits into your family. When the day finally arrives when you add that rescue to your family it will well be worth the wait. 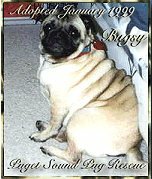 We here at Pugworld want to encourage you to adopt pugs in need and will help in your search for that perfect rescue pug. To get more information please contact our rescue coordinator at Rescue@pugworld.org. She will assist you by getting you in contact with a rescue group in your area and will also have a list of available pugs from groups all across the country.